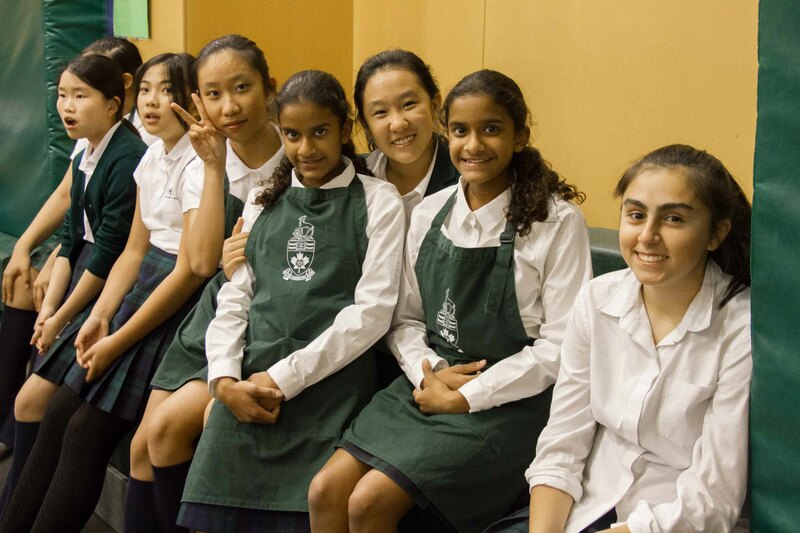 On Tuesday, October 13th, York House welcomed this year’s new parents and new staff members at the New Parents’ Dinner. 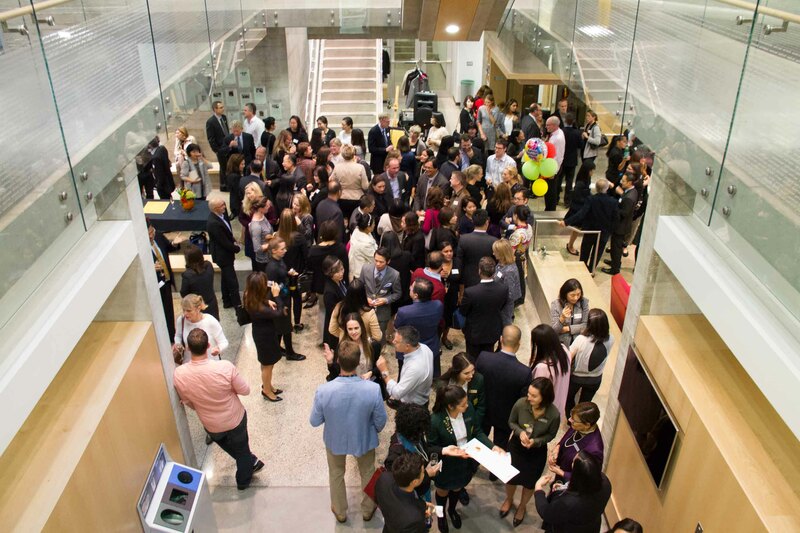 A reception was held in the Senior School atrium, where the newest members of our community mingled with the school’s Senior Leadership team and Board members. 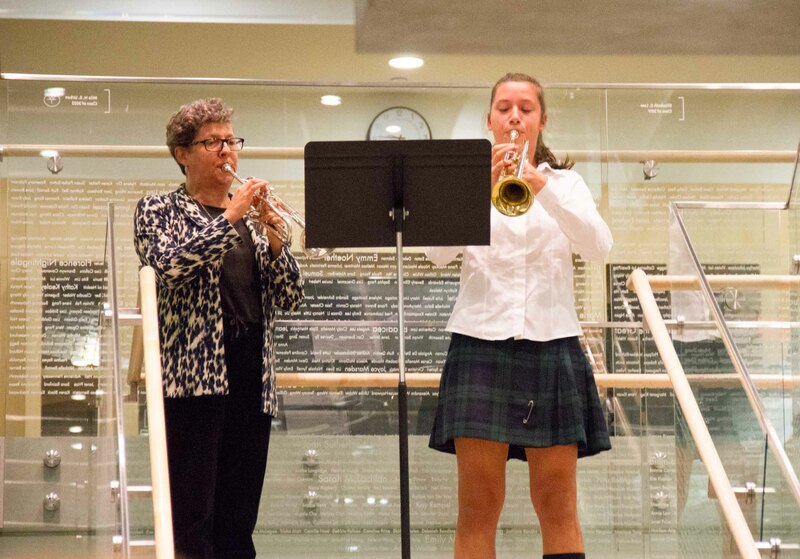 A trumpet fanfare, courtesy of Grade 11 student, Fiona, and Junior School music teacher, Dawn Haylett, signalled to the guests that the time had come to head to the dinner. 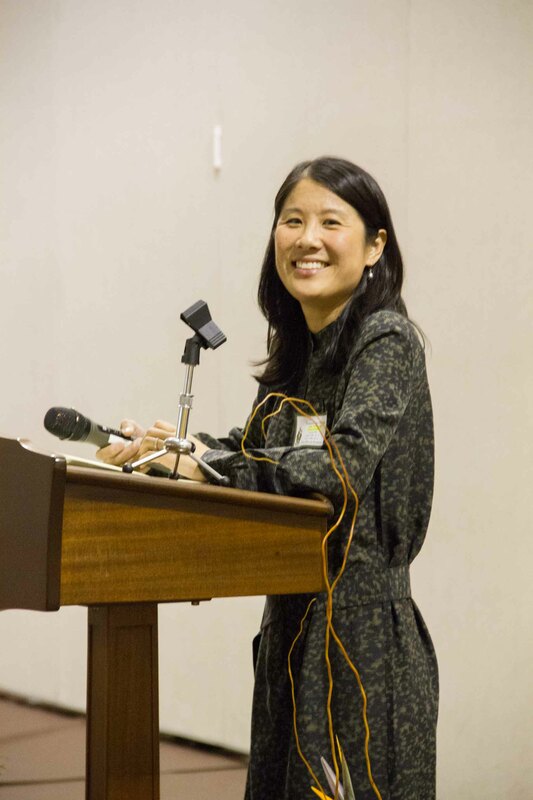 Once the guests were settled at their tables, New Parents’ Committee Chair, Joanne Lee-Young (herself an alumna), welcomed guests warmly before introducing our Head of School, Chantal Gionet. 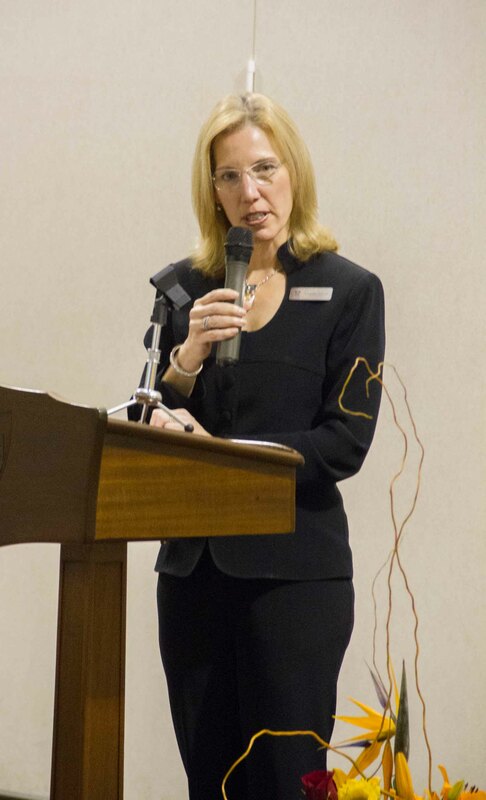 Chantal thanked our new families for choosing York House School for their daughter and recognized that this is one of the most important decisions that they will make as a parent. 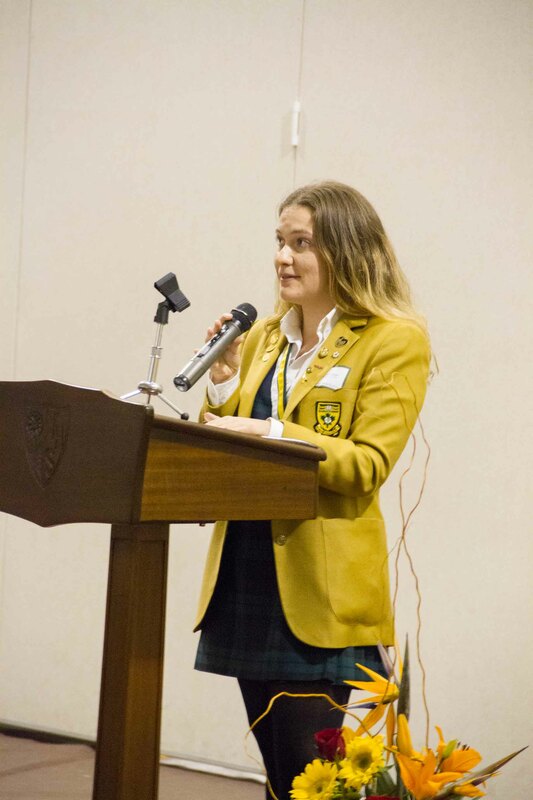 Head Girl Helen spoke with great poise about her experiences at York House, the confidence she has developed, and how well she feels the school has prepared her for life beyond the border of Granville Street and King Edward Avenue. 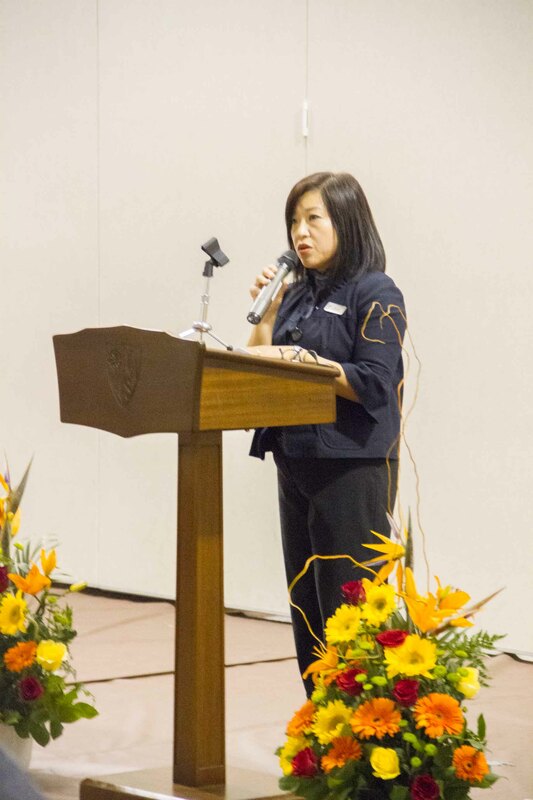 Lisa Tsai, President of the Parents’ Association, welcomed the new parents as members of the association, in both English and Mandarin, and encouraged them to become involved in school events, such as the Bid Night on November 19th, as an excellent way to meet new friends. New students and student ambassadors rose to the occasion and masterfully served the dinner throughout the event. The evening ended with the heartwarming ‘New Parents’ Movie’ which featured each one of the new girls. A huge thank you goes out to the New Parents’ Committee, which organized the event, and to the many volunteers who helped to transform the gym on the morning of the 13th. 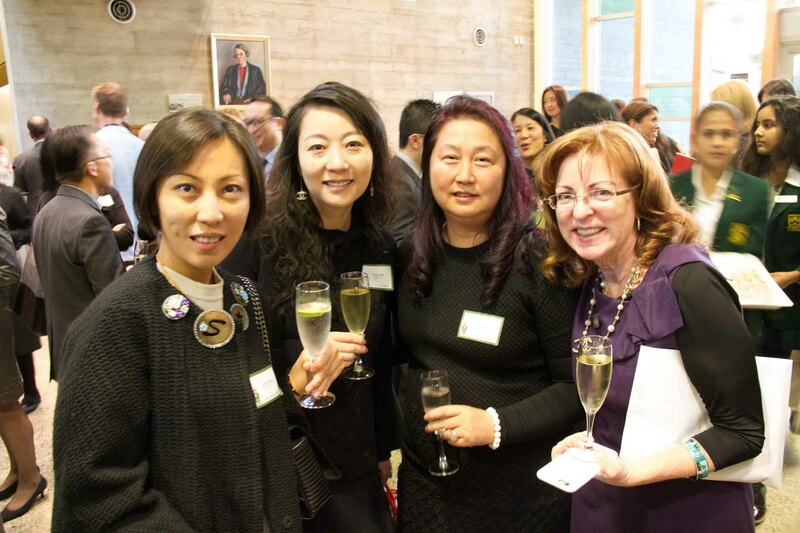 Associate Director, Annual Fund, Fiona Beaty, and Lisa Tsai, YHS Parents’ Association President. Associate Director, Annual Fund, Fiona Beaty and Parent Volunteer, Gillian Smith. New Parents’ Committee Chair, Joanne Lee-Young, and Executive Director, Advancement, Laura Edwards.